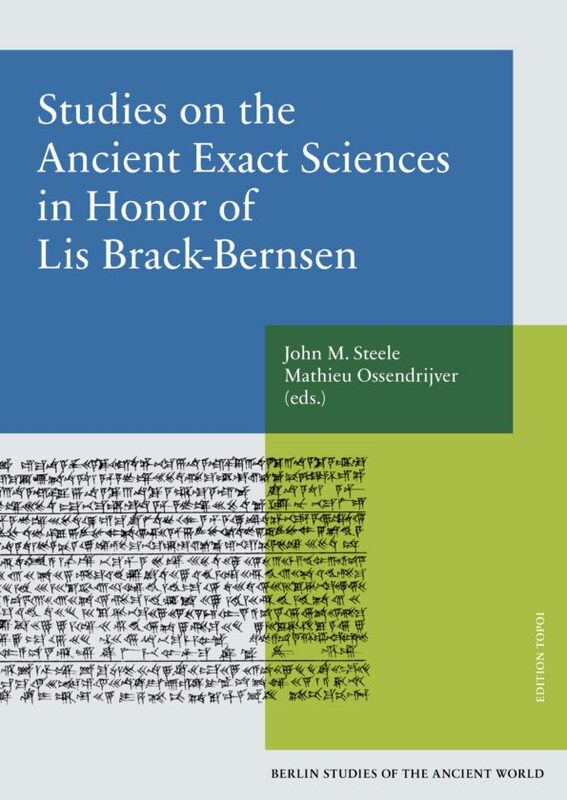 THE ANCIENT EXACT SCIENCES are the main subject in this collection of papers, offered in honor of Lis Brack-Bernsen by her colleagues and friends. The topics of the articles are linked by the themes that have been at the center of much of Lis’s own work: the Babylonian observational record, and the relationship between observation and theory; the gnomon, sundials, and time measurement; and the relationship between different scientific activities in the ancient world, especially the connections between mathematics and astronomy. Lis Brack-Bernsen has been a key figure in tranforming the study of Babylonian astronomy from an almost exclusive focus on the mathematical astronomy of the late period to embracing a much broader consideration of all aspects of the subject, both early and late, mathematical and observational, astronomical and astrological, and their relationships between one another. The papers demonstrate the wide variety of questions asked and approaches used by historians of ancient science. John M. Steele (Dissertation 1998 Durham University, B.Sc. 1995) ist Professor für Ägyptologie und Assyriologie an der Brown University. Als antiker Wissenschaftshistoriker ist sein Spezialgebiet die Geschichte der Astronomie mit dem Schwerpunkt Babylonische Astronomie. Er ist Herausgeber der Reihe Scientific Writings from the Ancient and Medieval World und beratender Redakteur des Journal for the History of Astronomy. Mathieu Ossendrijver hat eine Promotion in Astrophysik (Utrecht 1996) und eine Promotion in Assyriologie (Tübingen 2010) erworben. Er ist seit 2013 Professor für Antike Wissenschaftsgeschichte an der Humboldt-Universität zu Berlin. Seine Forschungsschwerpunkte sind babylonische Astronomie und Mathematik.